The draws for the 2015 African U-20 and U-17 finals were made by the Confederation of African Football (Caf) in Cairo on Sunday. The Africa U-20 Championship will take place in Senegal from 8-22 March, with Niger hosting the U-17 tournament from 15 February to 1 March. Both tournaments work as qualifiers for the 2015 U-20 and U-17 World Cups in New Zealand and Chile respectively with both sets of semi-finalists earning a place at the 2015 Fifa tournaments. 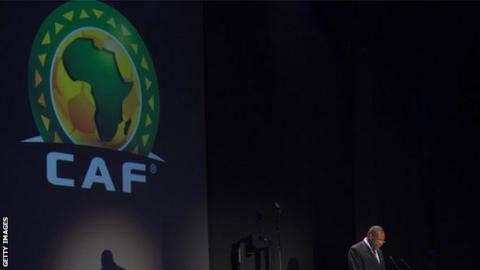 The U-20 draw offered up the rekindling of big rivalries with both Southern African teams falling in the same group. Neighbours South Africa and Zambia were drawn together in Group B alongside Ghana and Mali. Hosts Senegal, will play Nigeria, Congo and Ivory Coast in Group A.
Caf announced that the opening game of the 19th edition of the biennial championship will pit hosts Senegal against Nigeria at the Leopold Senghor Stadium in Dakar on 8 March before Congo face Ivory Coast later on the first day. Ghana play South Africa in the opening match of Group B on 9 March and Mali take on Zambia, both at the Caroline Faye Stadium. The two big derby games take place three days later when Ghana will face Mali in an-all West African affair whilst South Africa and Zambia play each other. Hosts Niger have been drawn alongside their neighbours Nigeria in the 11th African U-17 Championship starting on 15 February. Their much anticipated clash will be the opening game of the tournament at the General Seyni Kountche Stadium in Niamey. The two nations have been drawn in Group A, alongside Guinea and Zambia. Holders Ivory Coast, will play South Africa, Mali and Cameroon in Group B, with matches based at the Municipal Stadium also in Niamey. The opening game of Group B features Ivory Coast against South Africa on 16 February whilst Mali face Cameroon later that day at the same venue.